Who said grillin’ was only for the men? Hold up, we will get there in a second. HERBS! I’m super excited about this and hopefully I can keep them alive and growing! 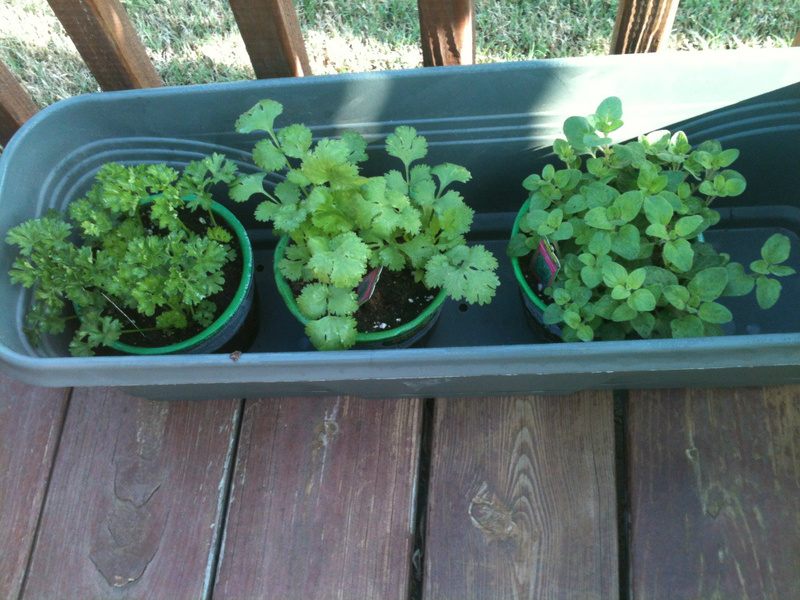 I’ve bought parsley, cilantro, oregano, and I bought some seeds for basil. I know it seems silly to buy one herb just as seeds when the rest are already established, but I just want to prove to myself that I can (or prove to myself that I can’t…we’ll see). 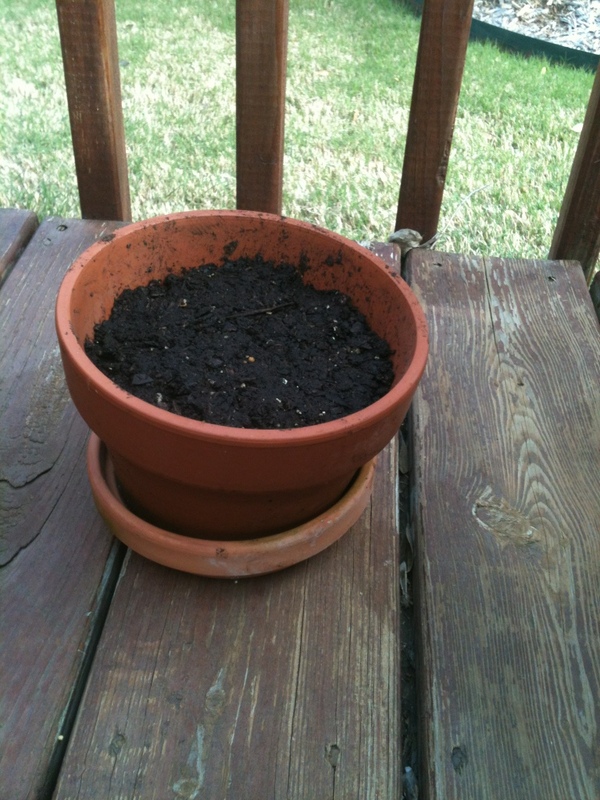 I’m going to get some soil today so I can plant them in their cheap pot (hey, what can a college girl do? It was either this cheap $5 pot or a super cute $20 pot). 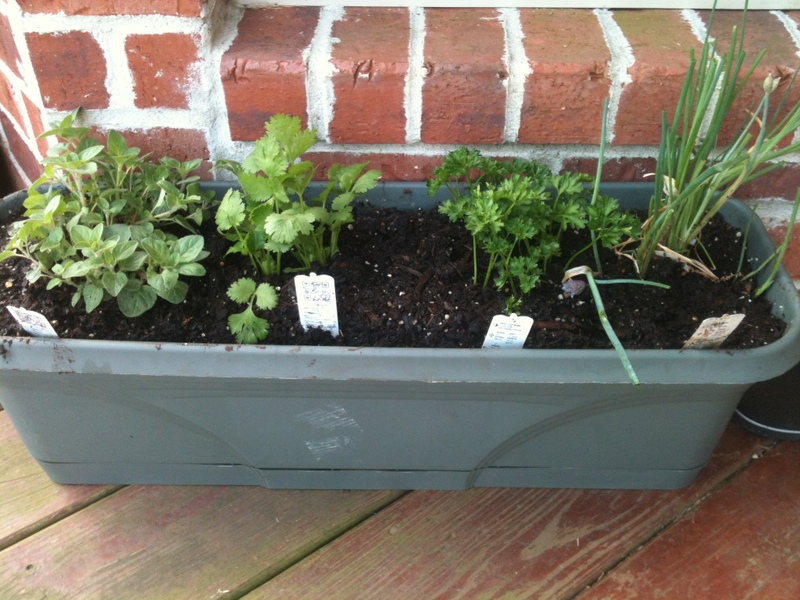 I’ll be posting updates on how my herbs are coming along, and maybe if I learn a thing or two, I’ll share some tips! Now, back to this nasty matter of men are the only ones who grill! What’s up with all of these TV shows with only grillin’ men? Okay, maybe not all these TV shows, but I can think of Grillin’ with Bobby Flay! The other day when I tried my hand for the first time in grilling, my boyfriend immediately said “when we get married, you can leave the grilling to me.” He automatically assumed that he would have the grilling duties because it was the manly thing to say. Well I have other news. I like to grill, so I think I will have the grilling duties, thank you very much. (Just kidding baby, you can grill for me whenever you want to!) Now that I’ve discovered this grilling thing I’ve begun to try just about anything on the grill. 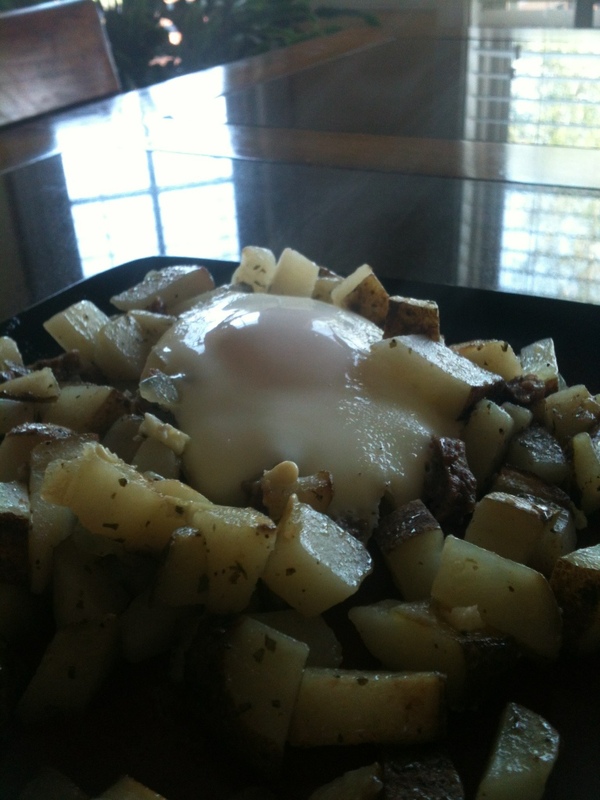 We are a little low on groceries, and I was trying to come up with something to eat besides my go-to meals that get very boring from time-to-time. 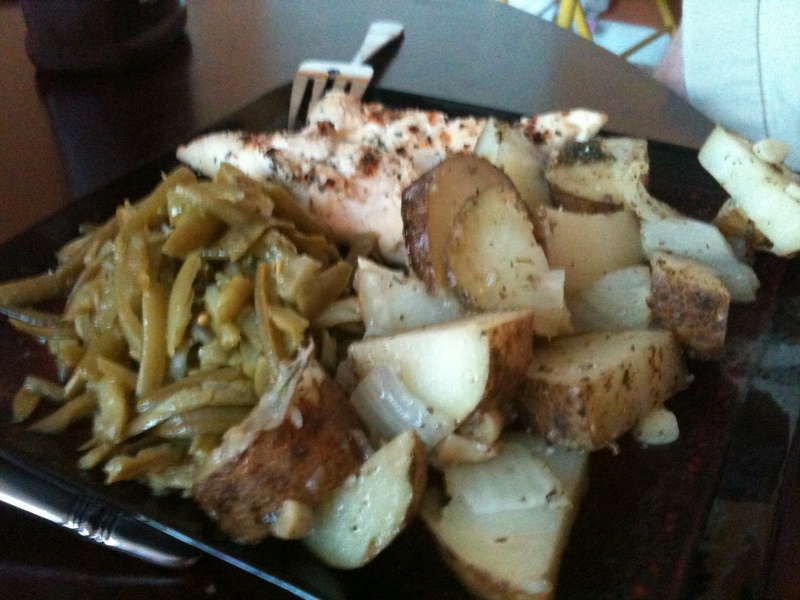 So, I came up with a new side dish that I am very proud of. While I was cutting up the ingredients and putting them in their grill basket, my stepmother said “I don’t think that is going to taste very good” but after they were complete, I made her try one and she said they were delicious. I am very happy to say I told you so with this one. This will definitely become a staple in our go-to recipes. 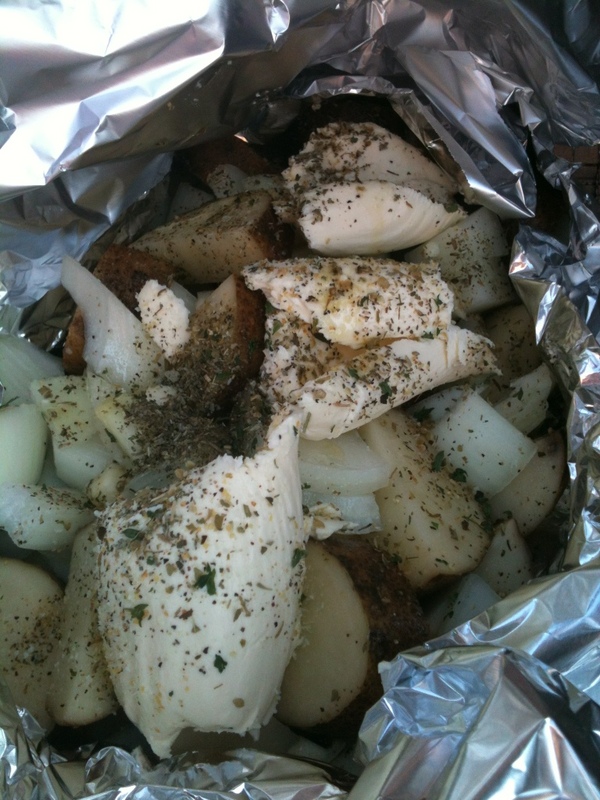 Cut your potatoes and onions into chunks and place them in an aluminum foil lined grilling basket. 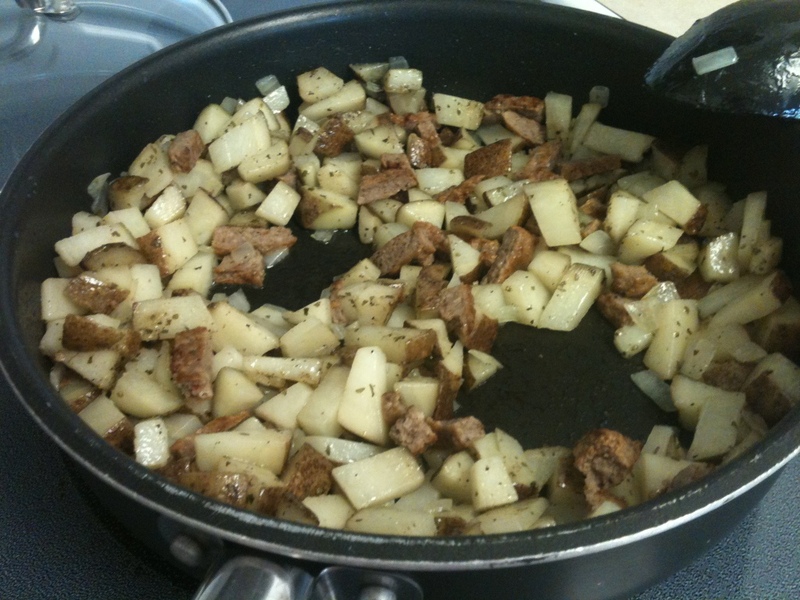 Then, season the potatoes to your likening with the rest of the ingredients. 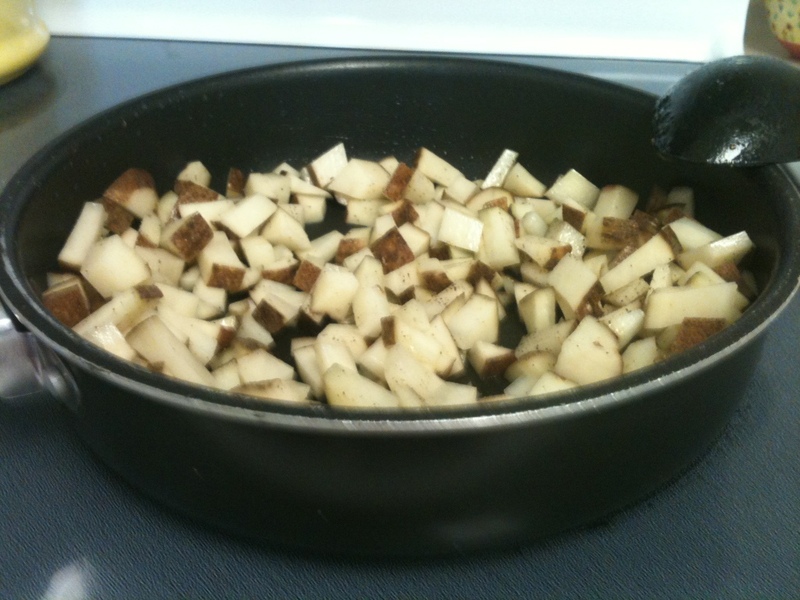 I did about five tablespoons of EVOO and 3 tablespoons of butter. Cook them over direct medium-heat on grill. My grill was at about 300 degrees the majority of the time. 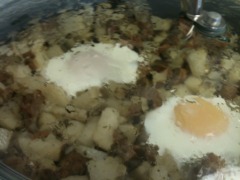 Mine took about 30-45 minutes to cook, but as long as the texture is to your likening, that is all that matters! * You can use either dried or fresh. I used dried, but next time I think I’m going to take a little from my new fresh herbs! I just paired these with some more grilled chicken and french-style green beans. It was delicious!